Despite a sunny, dry Sunday, a week of steady rainfall had Indian Lake at or above dock level in a lot of areas over the weekend. Several local fields had flooding issues, including this one on state Route 235 north of DeGraff on Sunday. The Indian Lake High School area sustained flooding. 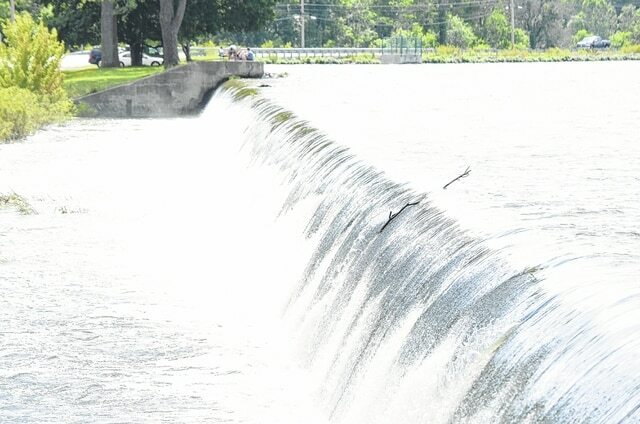 The spillway at Indian Lake was doing all it could to keep the lake level manageable on Sunday.